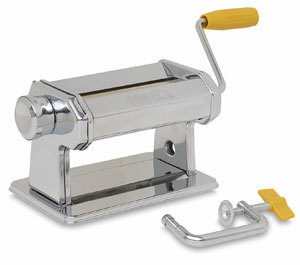 Rolling clay through a pasta machine makes techniques like marbling or slabworking easier and faster. Crafted of durable stainless steel, this model is ideal for use with polymer clays. It features nine thickness settings, a removable crank, and a clamp that secures it to your work surface. Use it to create flat, even sheets, to knead two colors together, or to soften your clay.